Although the Nintendo Switch online service was meant to launch in 2017, Nintendo pushed it back because it wasn't ready. But now, the Japanese gaming giant has confirmed it's launching, in full, in September this year. Like Xbox Live Gold and PlayStation Plus, it's a paid for service that allows you to play online with your friends. Currently that's free, but will change once Nintendo Switch Online goes live. The whole thing is controlled via the smartphone app for Android and iOS. It's actually available right now to download, but it currently only works with Splatoon 2 (and it's not very well so far) but it is technically in beta. The service will cost $3.99/£3.99 or $19.99/£19.99 a year, and for that price you get a few extras on top of online multiplayer support. Anyone who pays the monthly fee will get access to classic games from the Ninty back catalogue, such as Dr. Mario and Super Mario Bros. 3, all updated and compatible with the Switch's control system. They'll even include online leaderboards and multiplayer to bring them even further into the modern era. You'll also get discounts on selected digital games and content in the Switch's eShop, but it's not clear how this will work as yet. 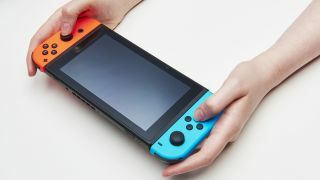 The news follows some impressive sales figure announcements from Nintendo, which state that the Switch has already outsold the Wii U in just 11 months, shifting a whopping 14 million units since launch. It's already looking like it's going to be a great year for the Switch too, even if you're only excited for the innovative Nintendo Labo cardboard creation kits.